Phase 2 of Moda Lofts is selling fast! Great floorplan with sizable bedroom and bonus den/office space. Situated steps from Stapleton Town Center, Moda was developed by Infinity Homes, a name synonymous with high-end homes throughout Colorado and built by Swinerton. The construction quality is second to none, with concrete floor slabs, acoustic underlays, and steel framing. Features include granite counters, stainless appliances, new hardwood floors, and flat-panel cabinetry. 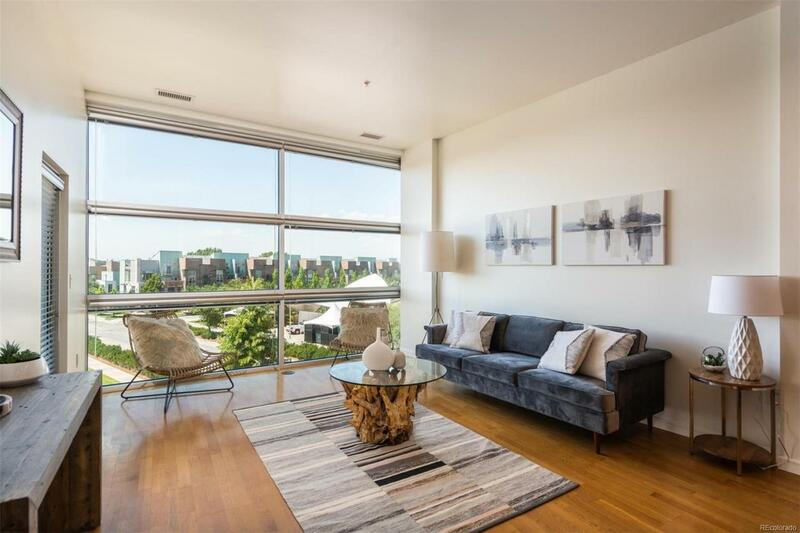 Every residence hosts floor to ceiling windows with abundant natural light, and each unit comes with a deeded secure underground parking spot and storage unit. In the master bedroom, form meets function with frameless shower doors, soaking tubs, and walk-in closets. MODA offers convenient access to some of the the best retail, dining, parks and rec centers in Denver!